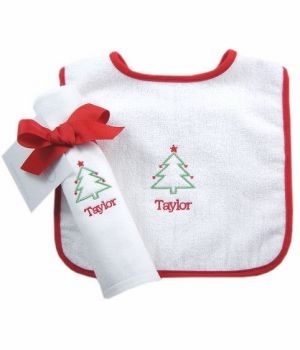 Beautiful and practical this bib and burp cloth set makes a perfect Christmas gift! 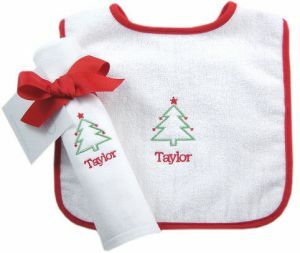 Both pieces are made of 100 percent absorbent cotton. 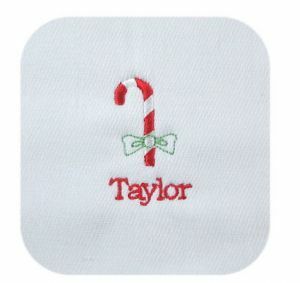 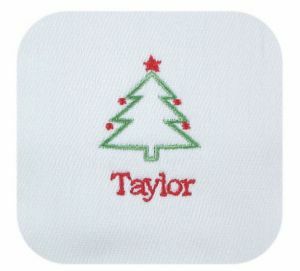 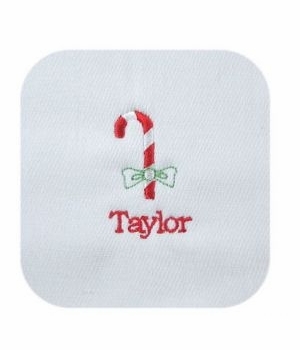 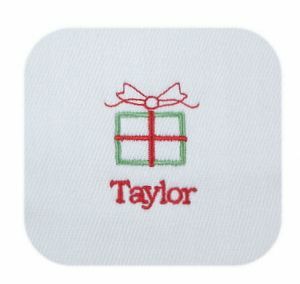 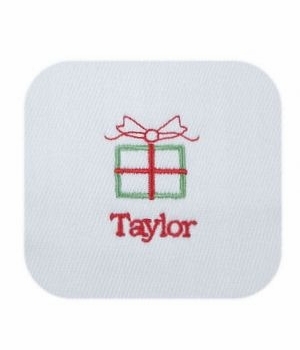 Choose from one of three seasonal symbols to adorn the center and personalize them with baby's name and year. 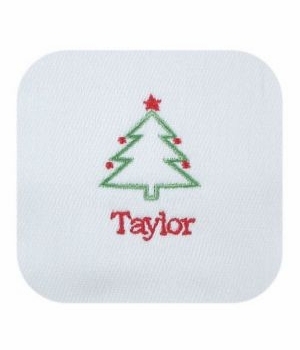 To clean - machine wash and tumble dry.